Most people associate the word Brazil with Carnival. They imagine crazy samba performances with beautiful women wearing feather costumes. It is a never-ending party that lasts for 40 days, but the culmination of the event lasts for one week. If you are thinking of visiting this beautiful country during the Carnival, you couldn’t have chosen a better moment. How the Carnival in Brazil is organized, how to get there and what to remember about? Prepare yourself for all the tips that we could give you to get ready for this amazing journey. How to organize your transportation? If you are planning to take a flight from your country and you want to visit more than one city in Brazil, it is worth taking buses into consideration. You can travel cheaper than by plane when you are already in Brazil and in very good conditions. Book your tickets in advance using many available websites like Brazil Bus Travel. We recommend booking bus tickets in advance – the Carnival period in Brazil is very busy. 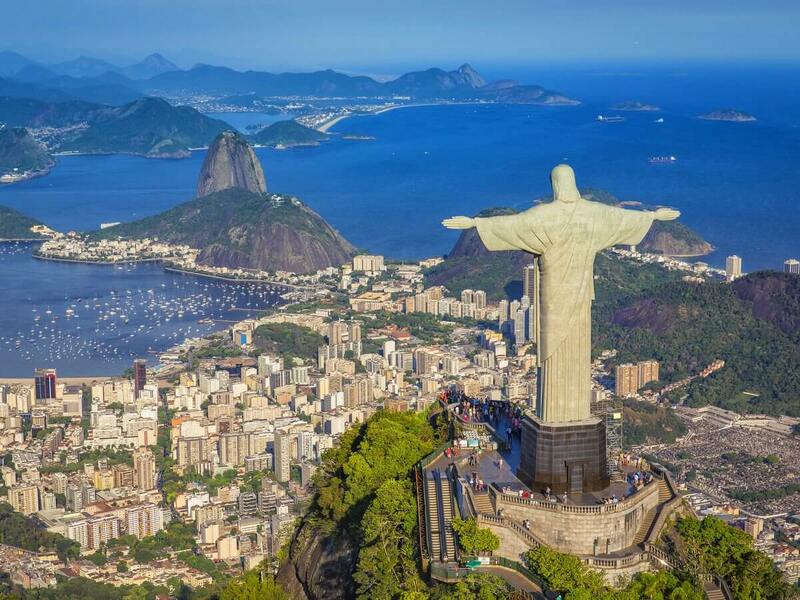 Almost 70% of tourists visit Brazil in this specific time every year. So, don’t wait till the last moment to buy your bus tickets or book the accommodation. 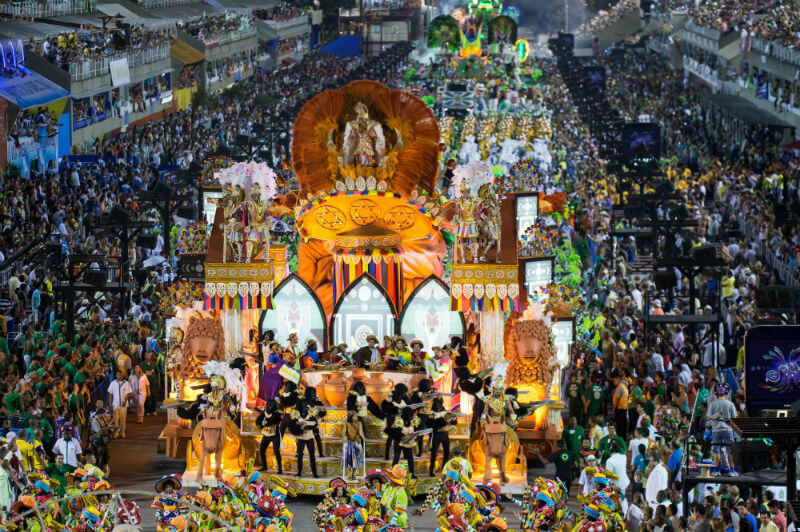 The Europeans most often associate the Carnival with samba schools competing on a big stadium called the Sambadrome. The schools perform on moveable scenes and are observed by millions of people also dancing to loud music. You can never get tired of listening to this music that is contagious and makes you want to dance and laugh all the time. The parade takes place from 8 pm till even 5 am when the winning school is chosen. If you want to experience the show, we advise buying the tickets in advance. The Sambadrome isn’t the only place where you can really feel the spirit of the Carnival. Choose to go to street parades or ‘blocos’ that are free and equally exciting. Smaller groups of dancers and musicians’ parade down the streets encouraging all the people to join them. You will easily find the timetable of every event online. Rio de Janeiro is very popular among tourist mainly because of the beaches and amazing city parades. Almost 2 million people party on the streets every day. 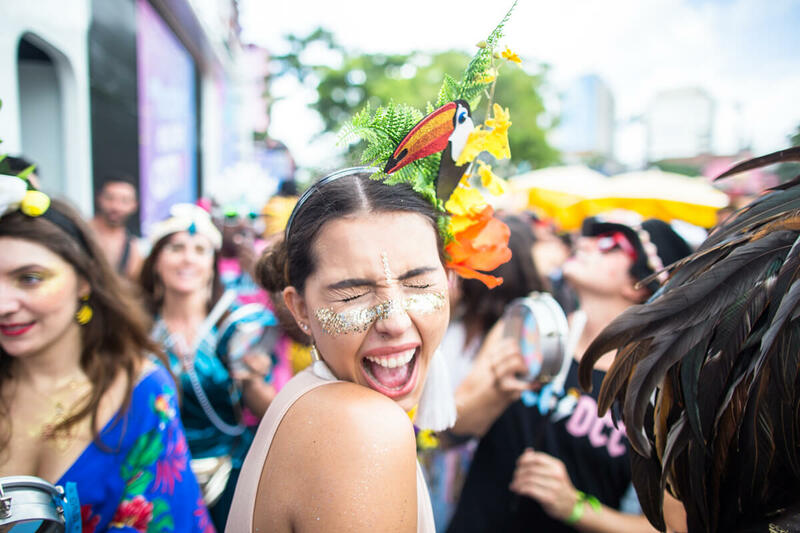 Be prepared for the best time of your life – if you like the crowds and loud music. However, who wouldn’t like to experience the Carnival in Brazil at least once in their life? The main cities in Brazil never sleep during the Carnival. If you want to visit the country without the crowds, don’t choose this specific period. If you don’t want to be left with only a few options or even none, book everything in advance. As we mentioned, it is a very busy time in Brazil, so it’s better to be prepared beforehand. As during every big event, it’s a perfect occasion for pickpockets. Don’t bring all the documents with you and things that can be easily taken out of your pockets or bags. Carnival is a party of colors. You can go crazy with your choices. Be prepared that you will stand and walk a lot. Don’t choose high heel shoes or very heavy shoes that will make your feet sore. Last but not least – have an amazing and unforgettable time! Please, share your experience in the comments below. Why should you choose to travel to Rio de Janeiro by bus? Rio de Janeiro is undoubtedly one of the most beautiful cities in Brazil. 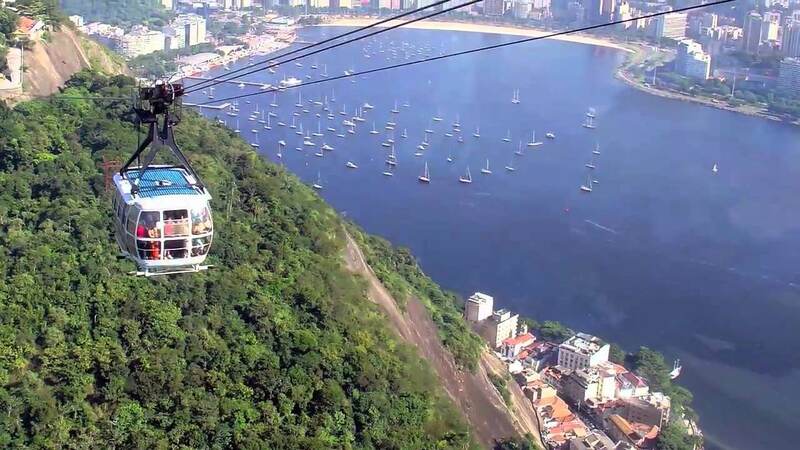 A lot of tourists travel to Rio de Janeiro every year and fall in love with this amazing city. It is located by the Atlantic Ocean and Guanabara Bay. The famous monument of Christ the Redeemer looks at the city from the top of the Corcovado mountain – one of the most recognizable symbols of the city. What should you visit in this city when you have decided to be a tourist in Rio, when is the best time to travel there and how to travel to Rio de Janeiro? We will answer all those questions below. When is the best time to travel to Rio de Janeiro? Rio de Janeiro is the city that is in a tropical climate and the weather stays almost the same during the whole year. Most of the days are sunny and fairly warm. The summer falls between December and January when the temperature is around 30 C°. Winter runs from June to August and the temperature remains around 26 C°. You can see that whenever you’ll decide to travel to Rio de Janeiro, the weather will be nice and warm. When choosing the appropriate date for you, decide if you like when it’s really hot or prefer the time when the temperature is a bit lower. If you want to visit the city during the Carnival – choose the second half of June. 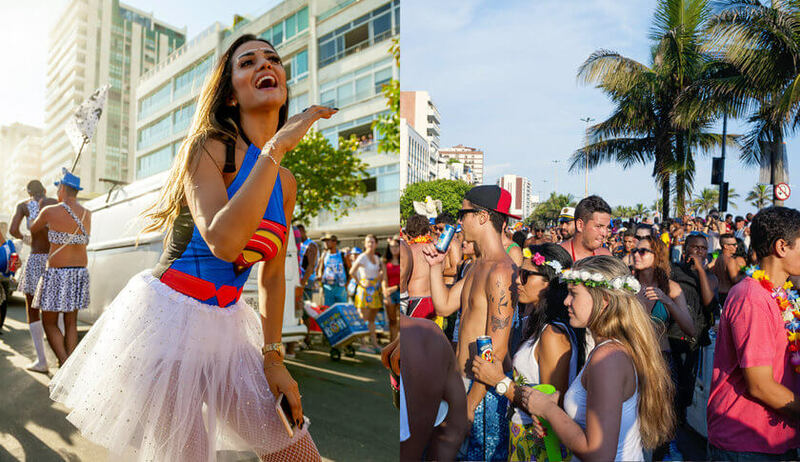 If you want to see the city during this real positive madness, samba competitions and great parties, don’t hesitate to visit this city then. However, remember that the city is pretty crowded with all the tourists and Brazilians wanting to have fun in the city that never sleeps. Why do we recommend travelling to Rio de Janeiro by bus? Rio de Janeiro is well connected with other Brazilian cities. The cheapest way to travel between them is to choose the bus. As you may not be aware of, the comfort of travelling by bus in Brazil is really high. 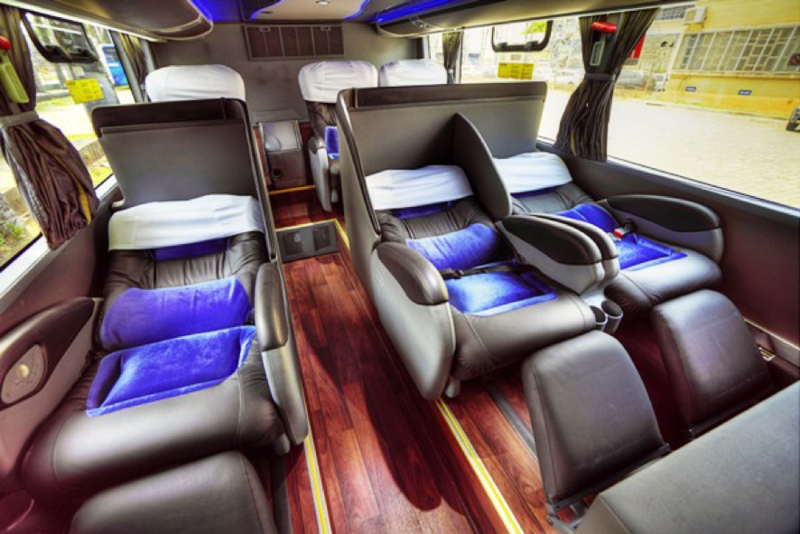 You can even choose the bus with your own chair that reclines and creates a bed. If you want to buy tickets in advance, which we highly recommend, buy it online. Quero Passagem is a website where you can buy your tickets online and book your seat in advance so that not to be surprised at the bus station with the information that the bus tickets are sold out. First time tourist in Rio? List of must-sees. If you are fond of sunbathing and swimming, those are the two most famous beaches that everybody knows. This is the center of the city’s nightlife, best hotels and restaurants. This 38-meter-high statue is the symbol of the city. The monument was created to commemorate the hundredth anniversary of the independence of the country. It is considered as one of the wonders of the world since 2007. This 396-meter-high mountain is accessible by cable car. The view on the Guanabara Bay is breathtaking so we highly recommend taking the time to reach the summit. See you in Rio de Janeiro. We are really curious about your first impression of this city. Bus in Brazil. Everything you need to know before going there. Brazil is so unique that you must see it with your own eyes to know what we are talking about. Amazing biodiversity, positive people, beautiful white-sand beaches, mesmerizing islands and so much more. 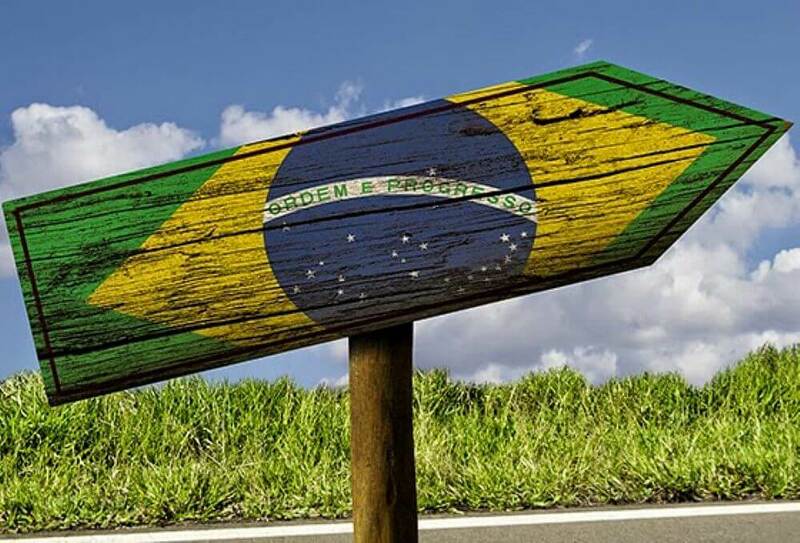 So, you have decided to go to Brazil but you are not sure how to prepare for the trip? Great choice, you won’t regret it. We are here to help you and point out some important tips worth remembering about before going to Brazil. How does travelling by buses in Brazil look like? What documents you have to have with you, what vaccines are worth considering and more. Keep reading and we will dispel all your doubts. Before going to any trip, it is worth doing a bit of research so that not to be surprised when arriving at the place. What should you take into consideration before going to Brazil? When going to Brazil, depending on what exact destinations in this beautiful country you want to visit, check what vaccines are recommended to take. Of course, ask your doctor and check the recommendations. The two main vaccines that you should remember about are yellow fever and malaria. You have to take them a specific number of days before going to Brazil so consult your doctor even today. The best way to check if you need a tourist visa is to visit the Brazilian Embassy or Consulate website. Generally, it is not necessary to have it, however, check just to be on the safe side (the list of countries can change unannounced). 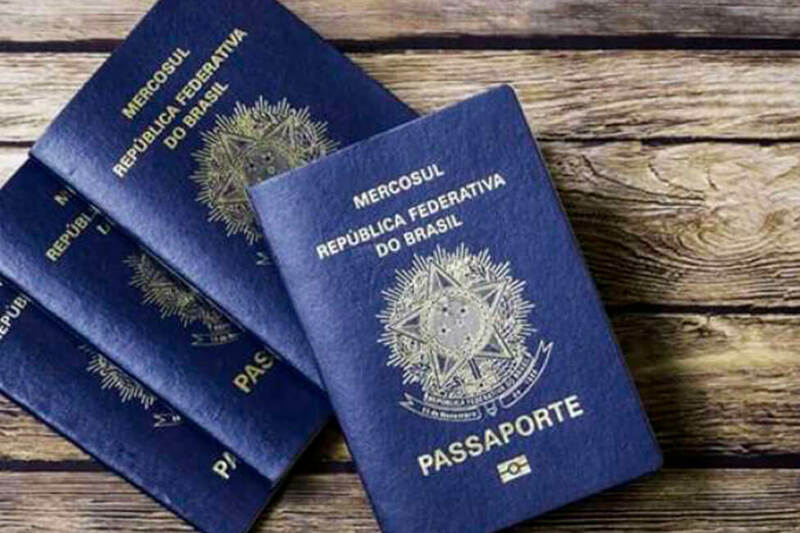 For sure check your passport – usually it has to be valid for more than six months when entering Brazil. 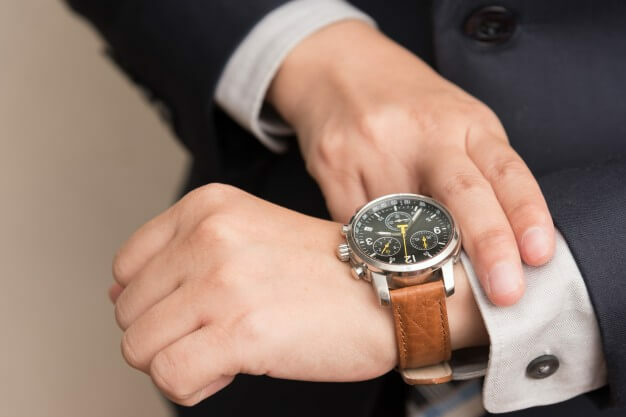 Remember that if you need a new one, don’t wait till the last moment, as it usually takes some time to obtain the new document. Be sure to buy travel health insurance available on various websites. It is always better to have it – it will save you a lot of hustle even in case of just a cold or minor ailment. To protect yourself against mosquito bites, use repellents, dress appropriately and use mosquito nets when possible. Whether you want to use the natural repellents as essential oils or those available in every drug store, it is worth to think about it beforehand. If you’ve forgotten, don’t worry, just go to any drug store or pharmacy when arriving to Brazil and ask the shop assistant for advice. Even before arriving to Brazil, you can buy all your tickets beforehand. Buses in Brazil are a mean of transport worth considering when wanting to see more than one city. You can buy your bus tickets without having to go to the bus station, using websites such as Brazil Bus Travel. Once you have the bus tickets, try to book hotels or hostels online. You will most definitely feel more prepared, having it all organized before. When going to Brazil, you will most definitely come by plane. However, when being there, it is worth to use the buses. The buses in Brazil are amazing, you can travel the whole night and feel like in your own bed using the leito bus types. Remember that when buying bus tickets online, you have to pick up the actual ticket at least one hour before the departure time. You will need to show your valid passport as well. 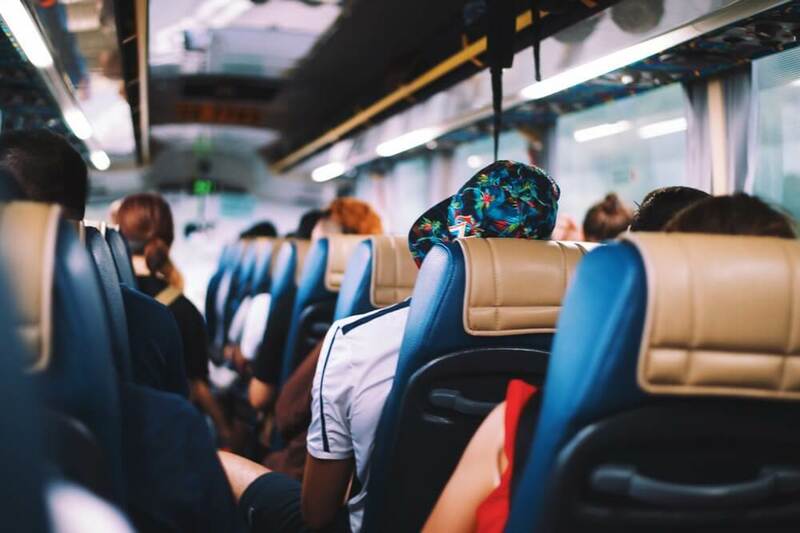 When buying tickets online, you are always sure that you will have a seat available in the bus that you are interested to take. We recommend doing it, just not to risk the chance of ‘sold out tickets’ – it really happens. When going at the bus station, remember to have some snacks with you and maybe one warmer jacket or a sweater. When buying tickets for long-distances, you can expect one or more breaks when you will have a chance to eat a proper hot meal. Travelling in Brazil is an amazing chance to get to know new cultures and widen your world view. Brazil is the biggest country in Latin America and fifth biggest country in the world. São Paulo is the largest city of the country with the largest concentration of skyscrapers after New York and Hong Kong. 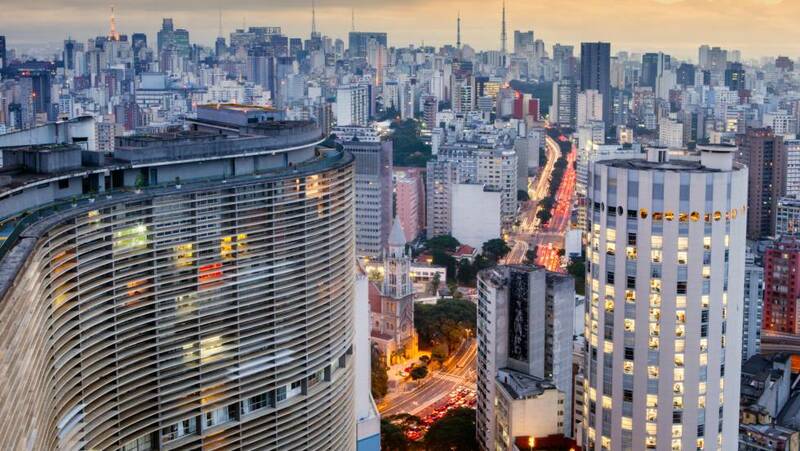 If you have chosen to visit this dynamic and modern city, bear in mind that travelling by bus from São Paulo to other cities is very easy and not as expensive as travelling by plane. The city is located on the river Tietê and its main bus station has the same name – Tietê Bus Station. What are the best cities to visit, what useful tips are worth remembering and how to book bus tickets when you are a foreigner? Every experienced traveler knows that there are many things to think about and organize while travelling to a foreign country. When you have the opportunity to book tickets online, it’s a brilliant idea. It will save your time and nerves. 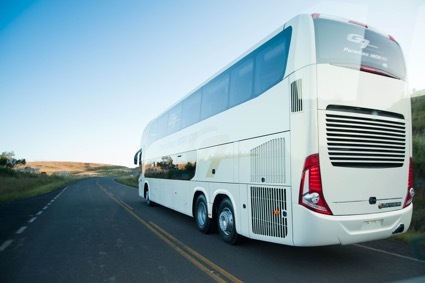 Nowadays, there are many websites that you can use when booking bus tickets for example Brazil Bus Travel. You do not need a Brazilian ID or Brazilian credit card to book the tickets using this website. Just select your departing city (São Paulo – Tietê (SP)) and choose your destination. Pick a date and choose the best offer from a variety of results. Select your seat and proceed to payment options. Done. 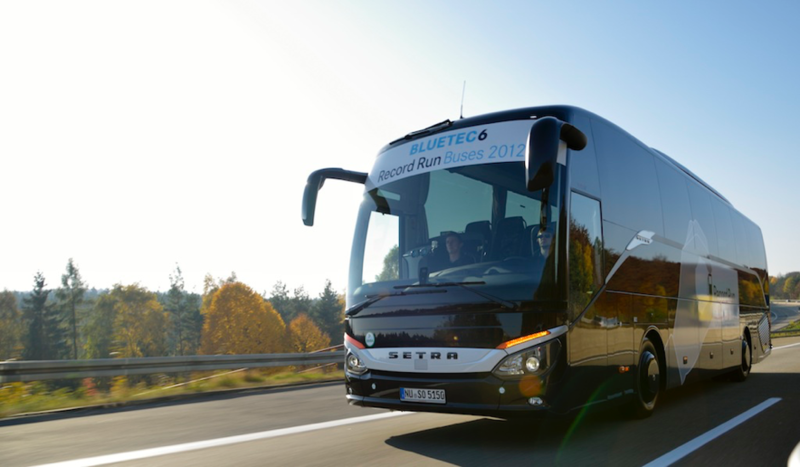 Once you have bought the bus ticket online, you will receive the confirmation on your e-mail along with the description of how to collect the ticket on the bus station. Please remember that you do not print the bus tickets in Brazil, you just have to collect them at least one hour before the departure time. 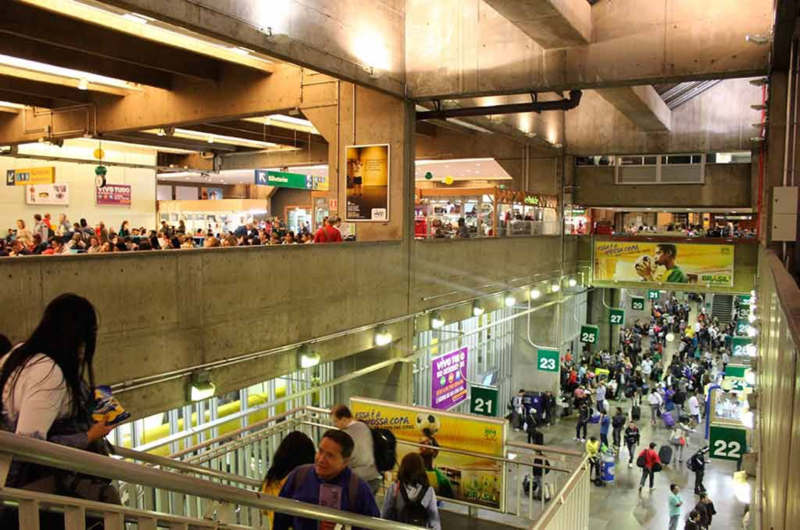 When arriving at the Tietê São Paulo bus station it is worth to know what to expect. 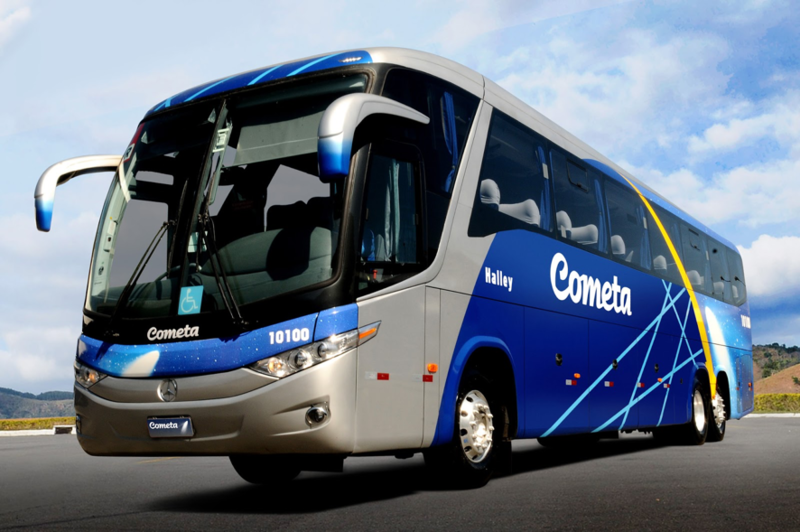 It is the world’s second largest bus complex and largest of Latin America. The Bus Station is accessible for the disabled, elderly and wheelchair users. You will find different shops there, a parking lot and baggage storage. When buying the tickets, remember that the buses in Brazil have a very high standard that may surprise you in the positive way. What are the places that we recommend you to see? Buzios – Brazilian resort known as holiday destination with beautiful beaches. If you want to try surfing, choose Geribá beach. Choosing the best mean of transportation when travelling to another country is quite a challenge, especially because we don’t know the place well nor the kind of transport you will find there. Travelling in Brazil by bus is a common option both for Brazilians and foreigners. Some of the reasons are lower fares, when compared to plane tickets, but also the high comfort the bus companies offer to their travelers. 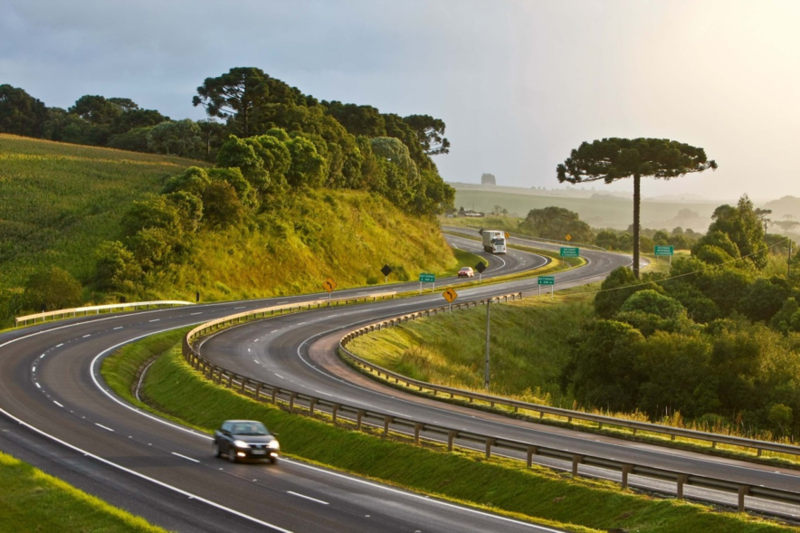 Best Way to Travel in Brazil: Plane, Bus or Car? Transportation is one of the most important things to worry about when you are on a trip in another country. It varies from place to place, according to the local means of transport and the distance between destinations. Similarly, the best way to travel in Brazil depends on how far the city you are heading to is, as well as your budget and the kind of trip you are willing to take. 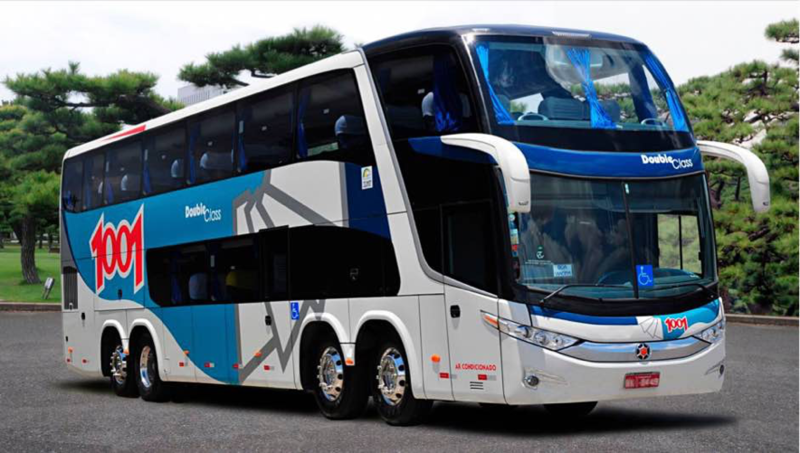 Buses in Brazil are one of the most popular ways of travelling around the country and there are many reasons people would rather use this kind of transportation over airplanes for example. Besides lower fares, the vehicles are equipped with many conveniences to make your trip more comfortable. 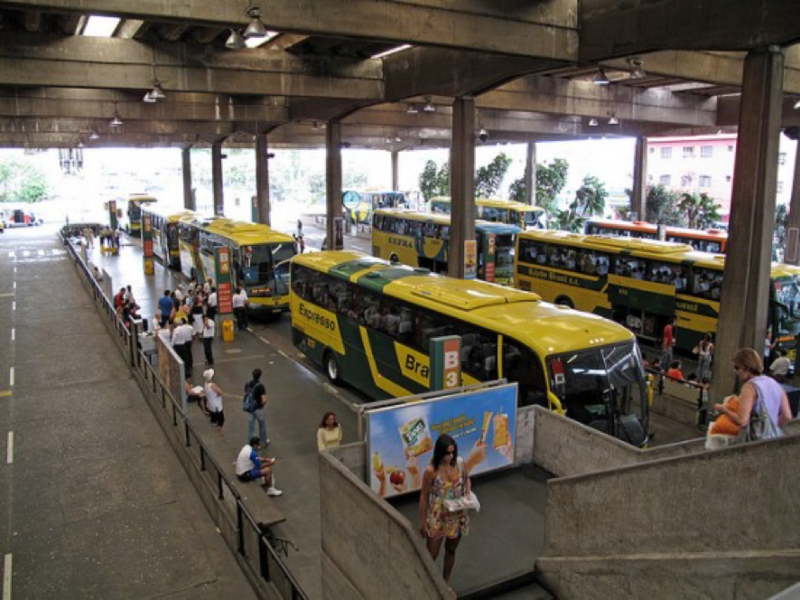 São Paulo four bus terminals are among the most attended and important stations in Brazil, which is no suprise considering it is one of the most visited cities of the country, both by Brazilians and foreigners. Taking a trip is always a good idea, isn’t it? Especially when the destination is rich in beaches and breathtaking landscapes. 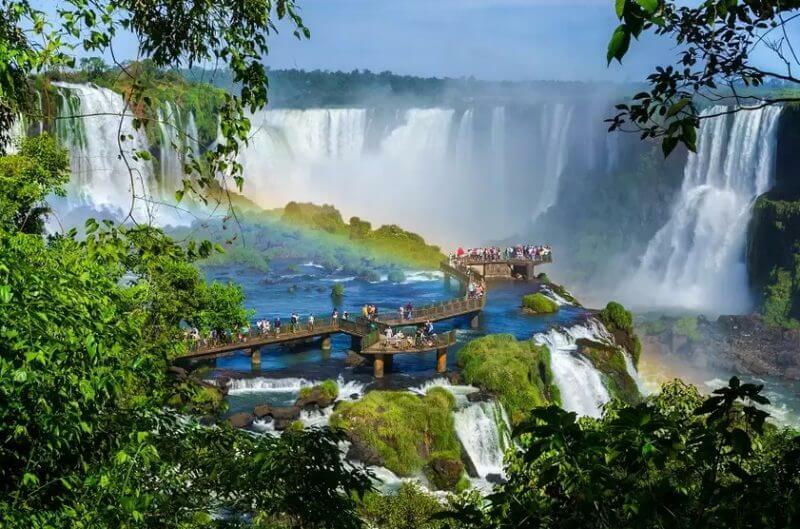 This is the scenery that a traveller will find when buying tickets to Brazil – an extremely large country with attractions for all tastes.